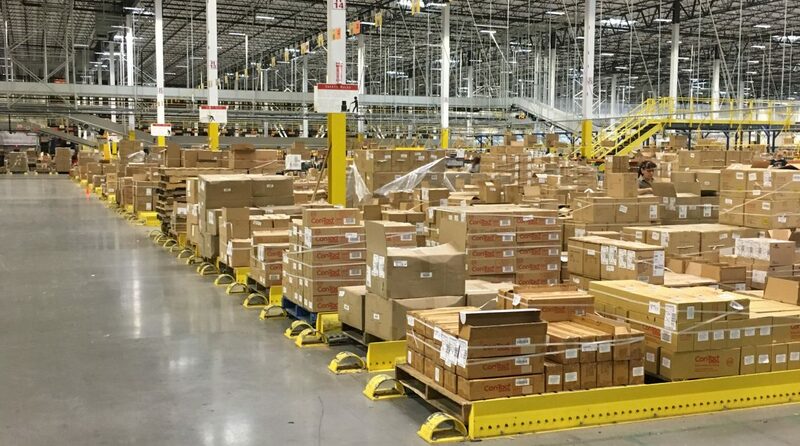 High-volume order fulfillment doesn’t always have to be high-tech or complicated. Sometimes it’s the simple solutions that just work the best. Case in point… a major discount retail customer has found a way to maximize picks, minimize travel and ensure accuracy by relying on floor-mounted pallet flow rack for inventory staging. This system works so well, that they have implemented it in fulfillment center after fulfillment center. When an idea is that good… we simply must share the news in the hopes of helping other customers. Here’s how this case picking system is laid out. 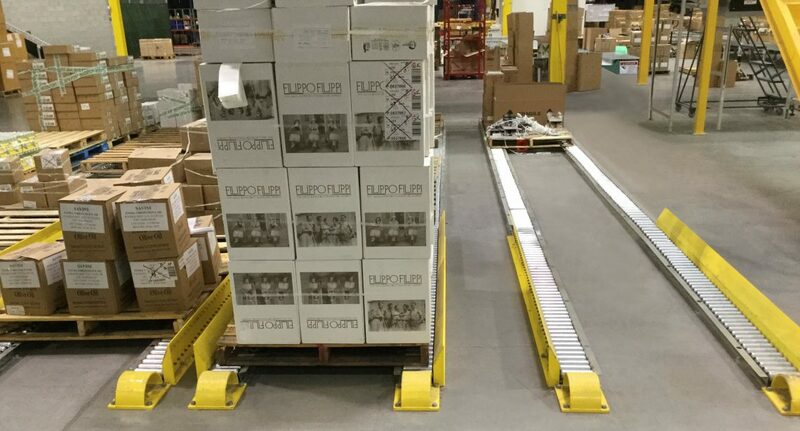 Entry guides are installed on the load side (charge end) to help guide pallet loading and ensure proper tracking as the pallets are pushed forward toward the pick aisle. Custom-supplied, half-moon shaped rail guards prevent entry-side damage to the pallet flow rollers as pallets are loaded. Discharge-end of the flow lanes are equipped with ramp stops to secure the pallet in the lane at the pick face. Pallets are loaded via forklift. Cases are picked from the pallet on the pick aisle (discharge end). Cases are loaded onto either conveyor, pick cart or pallet jack. Slower moving SKUs can be stored together in a single lane and picked from the pick aisle pallet or middle of the lane. 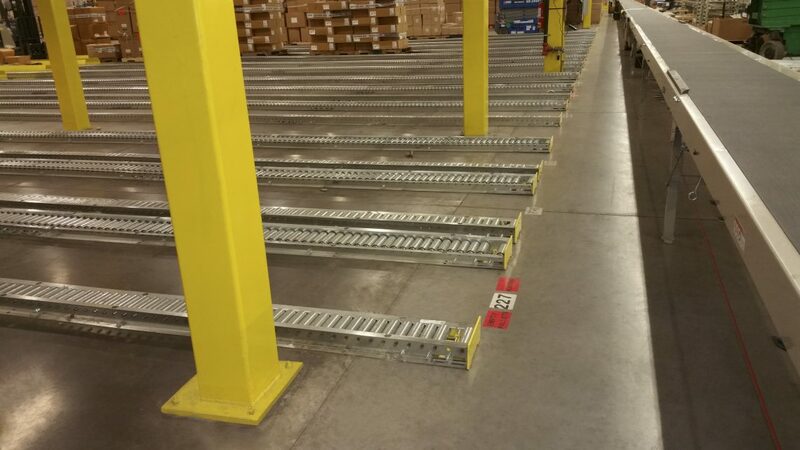 Workers leave gaps between the pallets for easier identification and picking in lanes containing multiple SKUs. Empty pallets are sent back to the staging area via vertical pallet return lanes interspersed among the pallet flow lanes. That pretty much covers it. Does it seem too simple to meet the needs of high-volume case selection? Well, remember it doesn’t have to be high-tech to be high-efficiency. Give us a call and let’s see if there is a simple, gravity flow solution in your future.